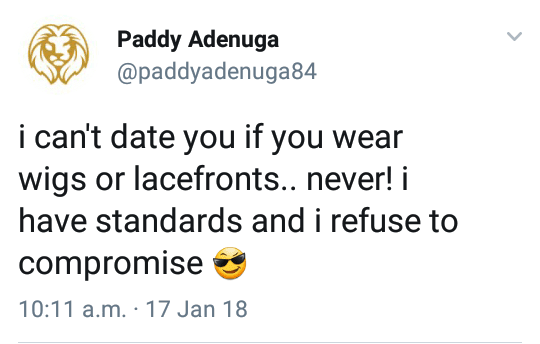 It's like 2018 is a year to state ones standards as folks on social media are going about stating the quality and attributes of the kind of persons they need in their life. 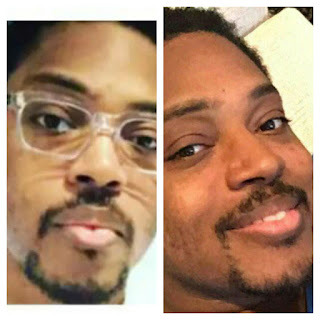 Recall how Toke, a social media user who previously said she cannot date a guy who earns N100,000 salary on a monthly basis, apparently, she feels the money is too small, and cannot sort out things..
Well it seems Billionaire son, Paddy Adenuga has joined the bad guys crew by setting his own standard, and has said there’s no way in heaven he’d date a lady who wears wigs or lacefronts. 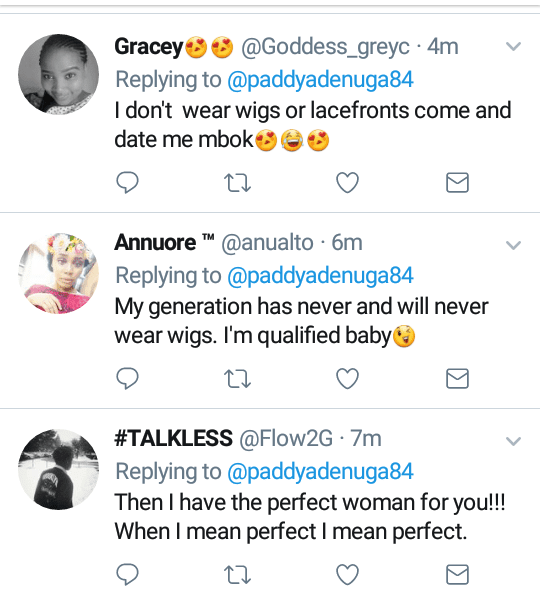 Following his declaration, women replied denouncing their wigs. 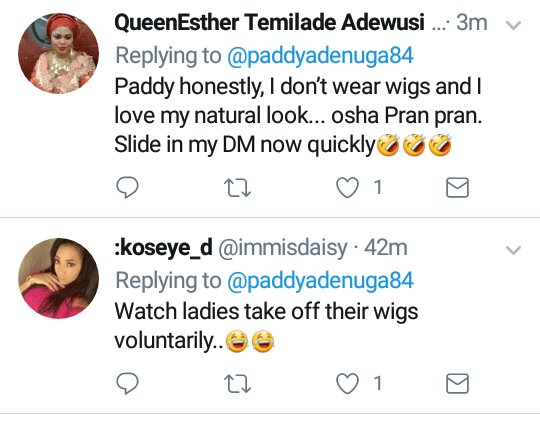 Some even went as far as saying they have never seen wigs in their lives before.